Aedas-designed Tebrau Waterfront Residences is located within Iskandar, the rapidly growing city of Johor Bahru in Malaysia. 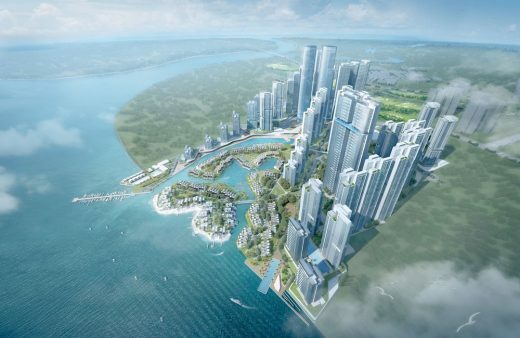 As a major new integrated community, Tebrau Waterfront Residences will incorporate waterfront villas and high-rise residential apartments complemented by commercial and hotel uses as well as a new village retail concept, setting a benchmark in the region. 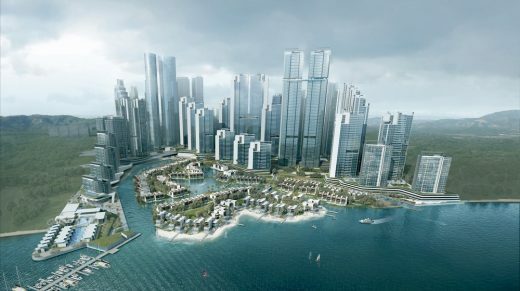 The master plan extends the waterfront into the site, effectively doubling the site’s water frontage and creating exclusive private-island retreat. Development density is graded to optimise the view of the prime panoramic waterfront. Flexibility on the master plan is maximised in order to adapt and respond to future market change. 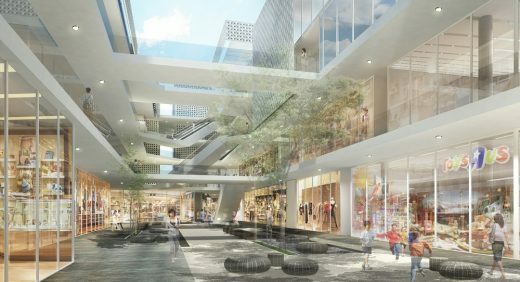 A village retail hub is designed to reveal the concept of floating boxes which inspired by the unique old Tebrau history of ‘kelongs’, the offshore wood platforms in waters, creating a unique contextual architecture to the old Tebrau village. 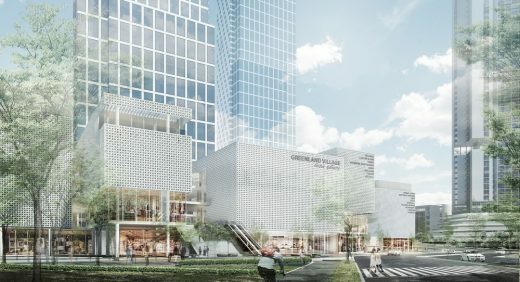 A series of interconnected public spaces and key destinations including the village retail hub, activity plaza and marina theatre are connected by pedestrian underpasses, elevated links and waterfront promenades, creating a comprehensive open space network. Sunken courtyards sit above car parks to facilitate natural ventilation and sunlight while boulevards induce air flow and heat dissipation.